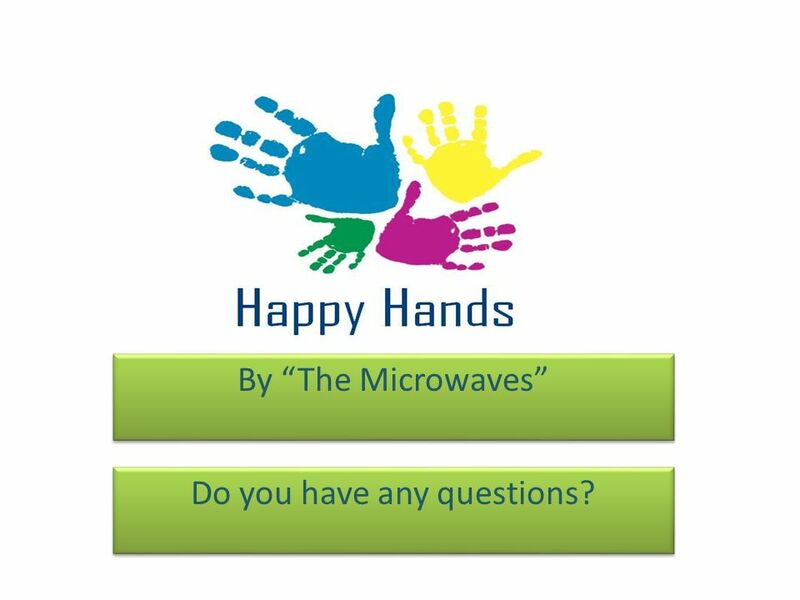 Happy Hands By “The Microwaves”. Preparing food or eating. Treating wounds, giving medicine, or caring for a sick or injured person. Inserting or removing contact lenses. 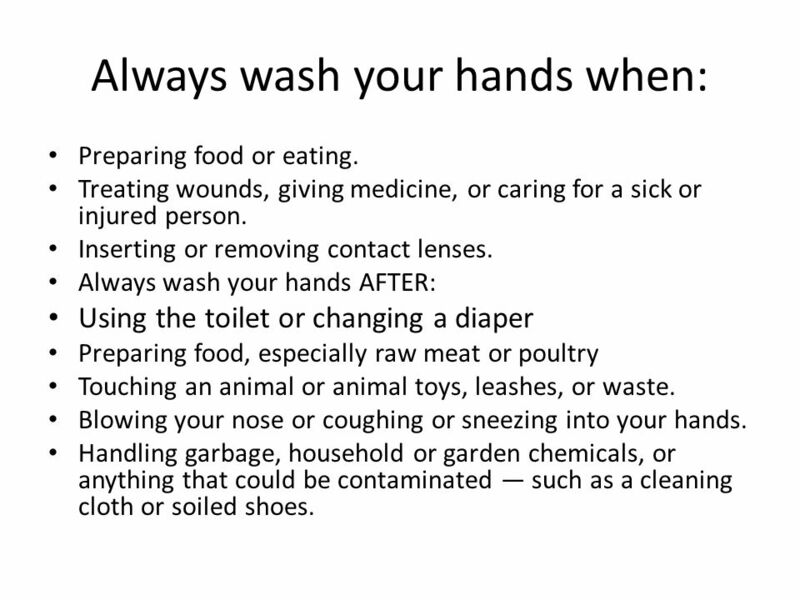 Always wash your hands AFTER: Using the toilet or changing a diaper Preparing food, especially raw meat or poultry Touching an animal or animal toys, leashes, or waste. Blowing your nose or coughing or sneezing into your hands. Handling garbage, household or garden chemicals, or anything that could be contaminated — such as a cleaning cloth or soiled shoes. 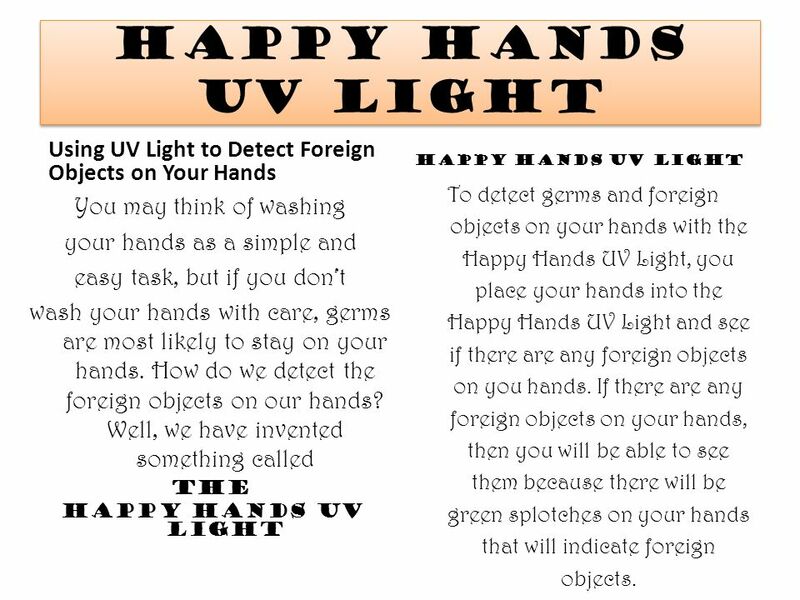 Buy the Happy Hands UV Light Germ Detector if you want to stay germ free! By “The Microwaves” Do you have any questions? 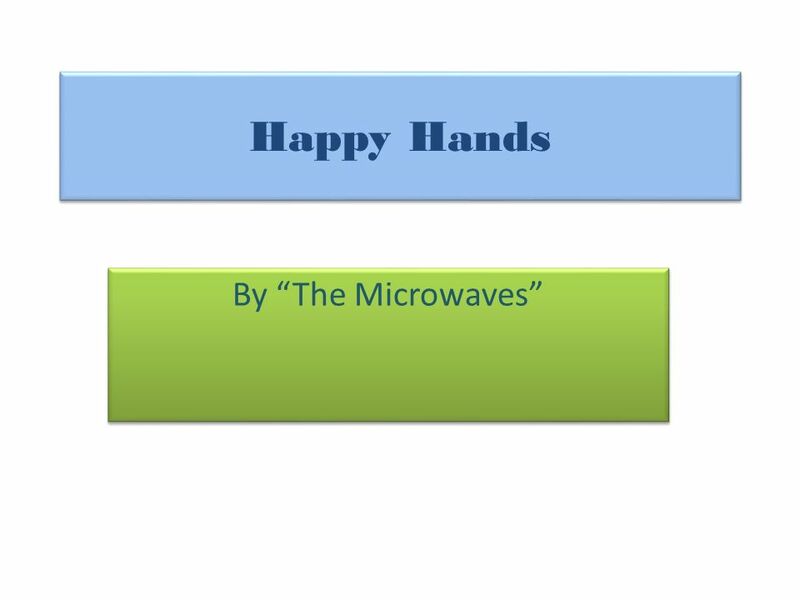 Download ppt "Happy Hands By “The Microwaves”." 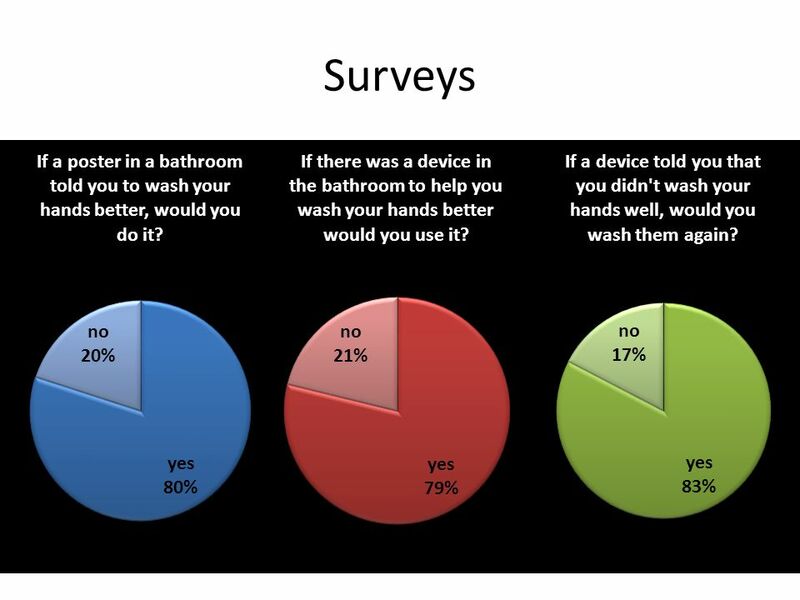 Wash your hands!. Wash before: preparing food eating inserting or removing contacts AND after treating wounds or cuts. KEEP GERMS AWAY, EVERY DAY! 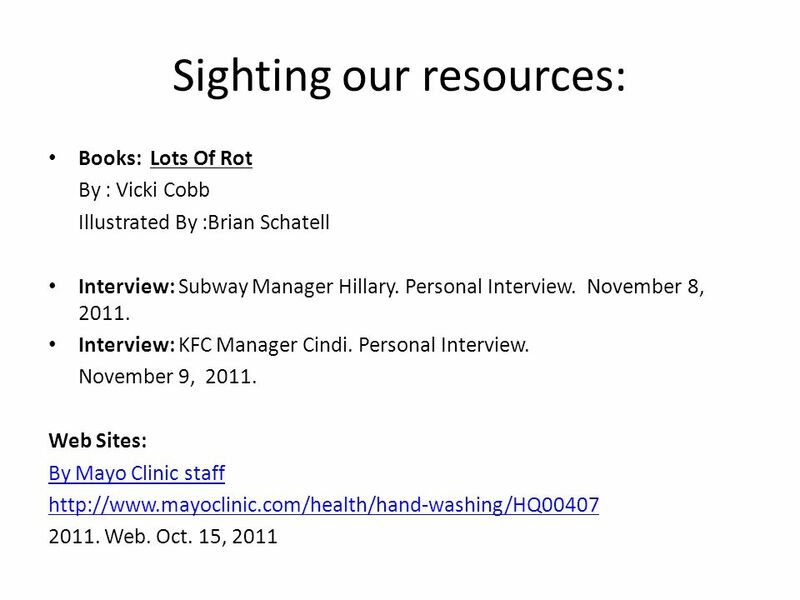 Valorie Grant Walden University Environmental Health 8165 Dr. R. Thron Summer, 2012 Food safety practices to prevent E coli. HAND WASHING. Fighting Food Poisoning: What is one of the most important things you can do to fight food poisoning? Here are a few hints: It takes only. 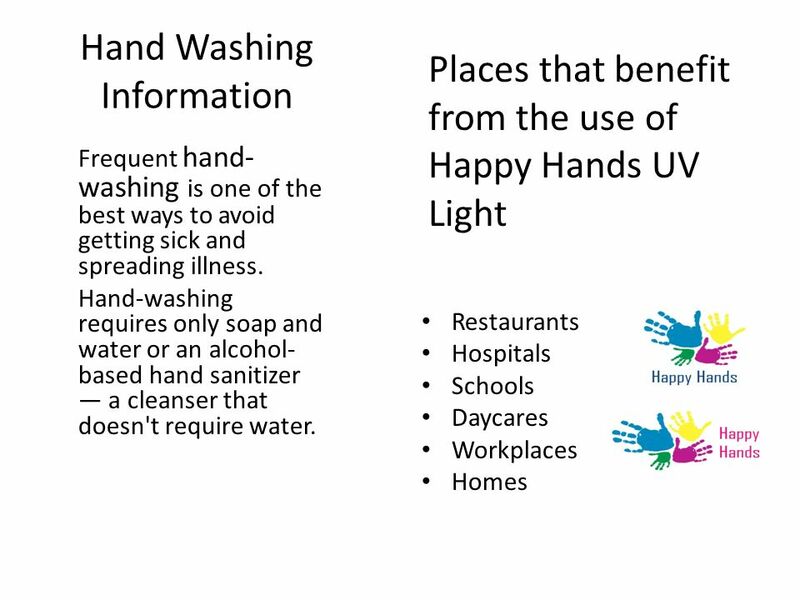 Springfield Public Schools: Handwashing Training. SERVSAFE/Chapter 4 The Safe Foodhandler. 1 F OOD S AFETY ON THE G O 2012 E DITION. 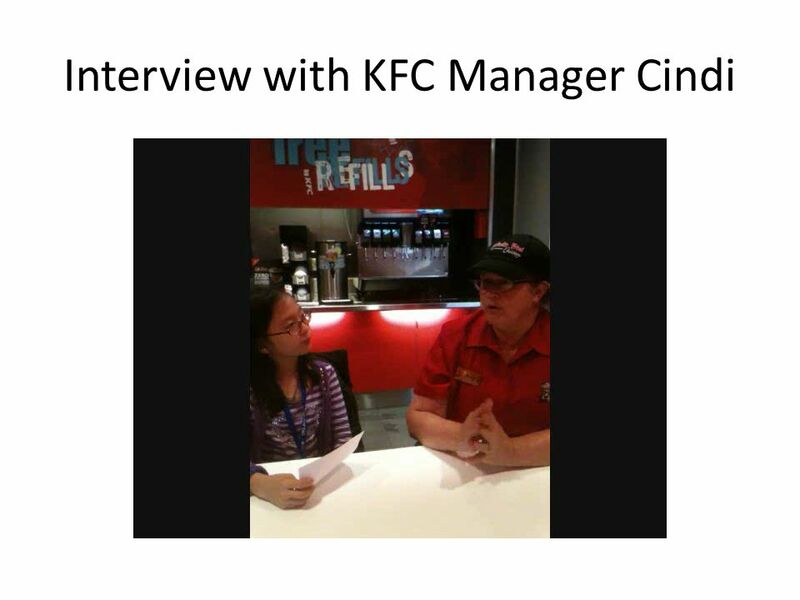 Module 4: Food service workers (staff and volunteers) 2. What You Can Do to Stop the Flu! University of New Orleans Student Health Services Human Performance Center Division of Student Affairs Room 109A (504) Cover Your Cough Jacinta. Germs Hillary Norman, Deasha Brown, Savannah Bennett, and Karissa Dunham. Student Health Services.  Avoid close contact with people who are sick. When you are sick, keep your distance from others to protect them from getting.